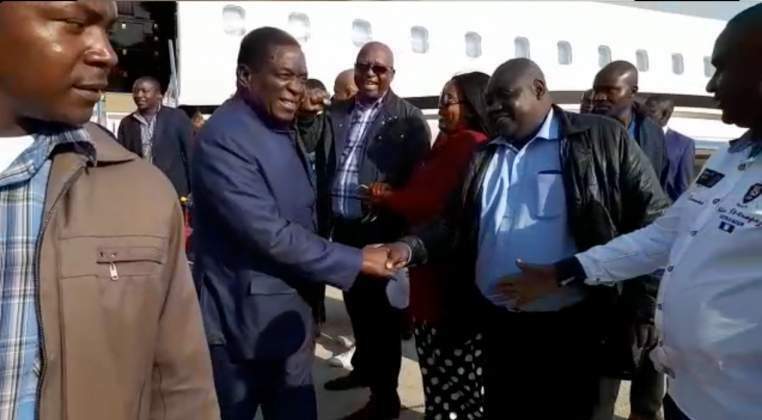 President Emmerson Mnangagwa declared two days of mourning the victims of Cyclone Idai - and then left on a trip to Angola, his 28th foreign visit in the 15 months since he assumed power. The Movement for Democratic Change (MDC) accused Mnangagwa of having an "infantile and embarrassing love of flying." Mnangagwa is in Angola to attend the first anniversary of Southern African Liberation Day, which was declared by the Southern African Development Community in August 2018. The day is commemorated every March 23 to mark the end of the Battle of Cuito Cuanavale in Angola and the South African Border War. The People's Armed Forces for the Liberation of Angola (FAPLA), backed by the Soviet Union, Cuba, South West Africa People's Organisation (SWAPO) fighters from Namibia and Umkhonto Wesizwe fighters from South Africa, pegged back and forced the withdrawal of insurgents of the National Union for the Total Independence of Angola (UNITA), who were supported by apartheid South Africa. Most SADC heads of state are stayed at home and sent ministers to one-day event. MDC spokesman Jacob Mafume accused Mnangagwa of being a "selfie President" who cannot pass up an opportunity to travel, even when situations demand that he stays home. "Hundreds of people dying won't change his programme," Mafume said as the United Nations confirmed at least 259 people had died from Cyclone Idai in Zimbabwe. "He declared two days of mourning this weekend, but as the chief mourner he has left on the first day of that mourning. What will it take for him to see that things are not normal, and it can't be business as usual?" Mnangagwa left on a private jet, hired from Dubai at a cost of $12,500 per hour of flying time. The MDC's Harare East MP Tendai Biti said on Twitter: "The usurper declares two days of mourning. Our people did not require mourning, they required effective disaster management. They required schools to be closed and communities evacuated. This did not happen. Then the usurper has the indecency of running away during mourning." At least 259 people were killed in Zimbabwe by Cyclone Idai, and some 217 are missing, the United Nations migration agency said on Friday. Hundreds of people had been injured and authorities had confirmed that 16,000 households had been displaced, the International Organisation for Migration (IOM) said in a statement. Most of the deaths occurred in Manicaland province after the cyclone swept in from Mozambique. Heavy rains caused mudslides and floods which destroyed thousands of homes in their path, burying scores of people under rubble and boulders, while some were swept away.